The former head of the Vatican Bank has become the Papacy’s Enemy Number One, after police discovered a trove of documents exposing financial misdeeds in the Holy See. The banker now reportedly fears for his life. ­Earlier this week police conducted a dawn raid on the house and office of Ettore Gotti Tedeschi. Investigators say they were looking for evidence in a graft case against defense and aerospace firm Finmeccanica, which was formerly run by a close friend of Gotti Tedeschi. Instead, as it turns out, police stumbled upon an entirely different find. 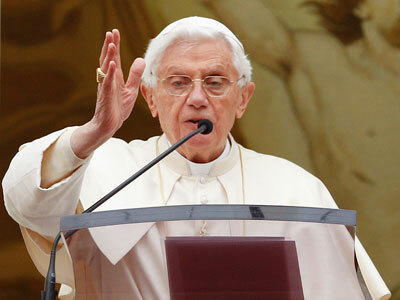 They discovered 47 binders containing private communication exposing the opaque inner workings of the secretive Holy See. 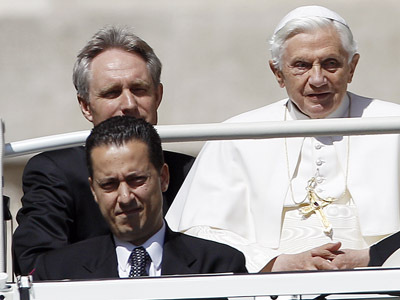 They included financial documents, details of money transfers and confidential internal reports – all prepared by Gotti Tedeschi to build a convincing expose of corruption in the Vatican. 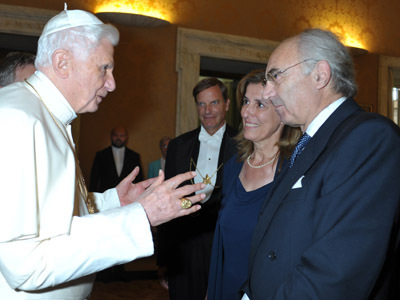 A renowned economics professor and head of the Italian branch of the giant Bank of Santander Gotti Tedeschi took what turned out to be a poisoned chalice of a job in 2009, when he became the President of the Institute for Works of Religion, the formal name for the Bank of Vatican. His brief was formidable – to introduce transparency to a lucrative enterprise that had become a byword for money-laundering and corruption. After a tumultuous three years marked by in-fighting and public scandals, Gotti Tedeschi was unanimously dismissed from his post by a board of Vatican officials in May. “I have paid for my transparency” the indignant banker said to the media, as he stormed off even before his dismissal hearing was over. The confidential minutes of the stormy meeting obtained by Reuters showed the banker accused of "progressively erratic personal behavior" and "exhibiting lack of prudence and accuracy in comments regarding the Institute". But there may have been other reasons. Aware that his crusade against corruption was failing, Gotti Tedeschi probably began to leak important documents to the media. The drip-drip of damaging revelations (alongside more personal ones presumably passed onto the media by the Pope’s own butler) has been dubbed 'Vatileaks', and has captivated Italy in recent months. At the hearing, the board that dismissed the banker also indirectly accused Gotti Tedeschi of being behind some of the leaks, pointing to his "Failure to provide any formal explanation for the dissemination of documents last known to be in the president's possession." While the leaks were a weapon with which to attack his enemies, Gotti Tedeschi was also preparing a last resort option if the battle was lost – a ‘suicide belt’ that would blow the lid off Vatican. It is this dossier that the police have now apparently discovered. The Vatican is barely concealing its panic – and wants the folders handed back unopened. “We have faith that the prosecutors and Italian judicial system will respect our sovereignty—recognized internationally—with regard to these documents,” said an official statement. But there is little chance the Papacy will get its way this time. 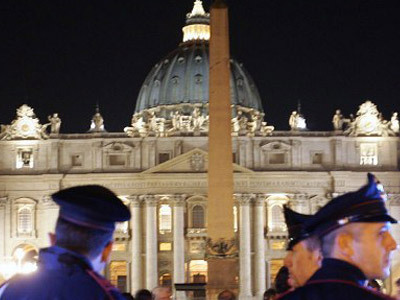 Italian prosecutors have frequently been at loggerheads with the Vatican and have accused it of using its sovereignty as a shield against proper regulation. If the documents do spark a legal firestorm, Ettore Gotti Tedeschi is sure to be a key witness in any trial. A former employee against his employers, and a conservative Catholic pitched against the Vatican itself. Allegedly, Gotti Tedeschi keeps a list of personal enemies in the Vatican – people who he had felt would stop at nothing to prevent him from reforming the Institute for Works of Religion. His friends have told the media he is shaken and scared. Police are now considering putting the whistle-blowing banker under armed protection.